Madison McKay doesn't trust anyone. The former military woman and owner of Lost, Inc., learned about betrayal the hard way, in work and in love. That's why she'd never let herself fall for ex-military special investigator Grant Deaver. Yet when Madison is framed for a security breach at a top secret military facility, she's forced to put her life in Grant's hands. But after she discovers that he's been deceiving her, everything will be torn apart unless Grant can convince her to trust him with her life...and her heart. Vicki s first novel was a bestseller that sold in nearly a dozen countries. After co-creating the first single-title open-ended continuity series, she turned to military life and won a Career Achievement Award for military romantic suspense, intrigue, and thrillers. Taking risks and blazing trails has won her many prestigious awards. Now writing faith-based novels, she'll soon see her 30th novel published. 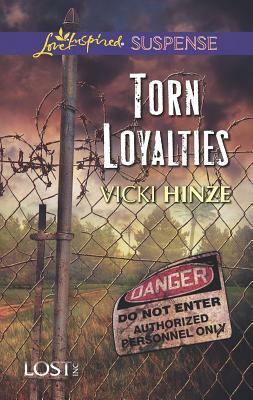 www.vickihinze.com, www.facebook/vicki.hinze.author, www.twitter/vickihinze"